Recently, we've asked some of our X-Teamers what material they'd recommend to people interested in learning or improving their skills and knowledge in specific technologies or general skills useful for IT-people. It turns out they're quite the helpful bunch with plenty of good resources to share, so we decided that, every Thursday, you'll get a condensed version of their recommendations right here, on our blog. The resources are separated into two parts — the first part includes tech-related resources. The second part includes resources on things that everyone should keep in their mind, but which aren't technology-specific. Quite a nice find regarding saving time and costs if you’re working with heaps of AWS Lambda functions — give GO a chance. Can't go without knowing the basics, so learn how to set up a bitcoin node here. Once you got a node up and running, it's time to learn How to Setup Your Own Bitcoin Simulation Network. A Comprehensive Guide to Publishing Golang Libraries will give you all of the tools and tips you need to publish a high-quality Golang library. They also link this service called go report card that is super useful. find3 — A high-precision indoor positioning framework that’s trending on GitHub recently. There’s a great overview of the project here. According to our functionalists, the best way to get started is to pick up a copy of The Haskell Programming From First Principles. A GraphQL API is an alternative to a REST API. Learn how to interact with a GraphQL API using Apollo in this tutorial for iOS. Of course, you can use GraphQL in your Android project using Apollo as well. Read how, here. Best practices for designing, deploying, and debugging node apps in production. A more concise but very much worth-your-time blog about the best practices for working with node. Some basic but useful hints on How to make your React Apps 10x Faster. An interesting guide to Component-based data fetching. 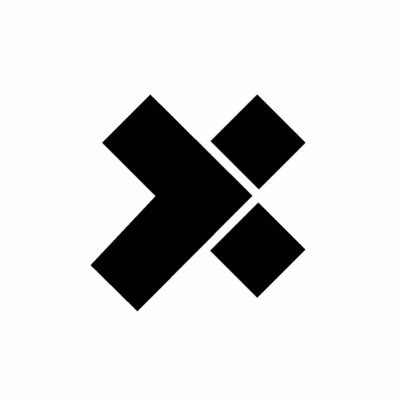 Since our guys are working on a Vuex challenge, here's their recommended Super-fast intro to Vuex. State persistence, be it in localStorage or even offsite, is, of course, imperative (no pun intended). Thus we give you a guide to Vuex persist. Many people struggle to concentrate. And when you can’t concentrate, everything you do is harder and takes longer than you’d like. This post explains how to beat that. A great post on how to become a public speaker. It lists three main hurdles you have to overcome and how to do just that. From the same author, who often works as a talk evaluator, here is a guide to what he looks for in a talk and what kind of a talk submission has better chances of success. The term UX — A quick 1:50 video that will give you the summary of what is UX, and why it has no boundaries. What do you think? Did you like what you found here? Would you recommend something else? Let us know in the comments.